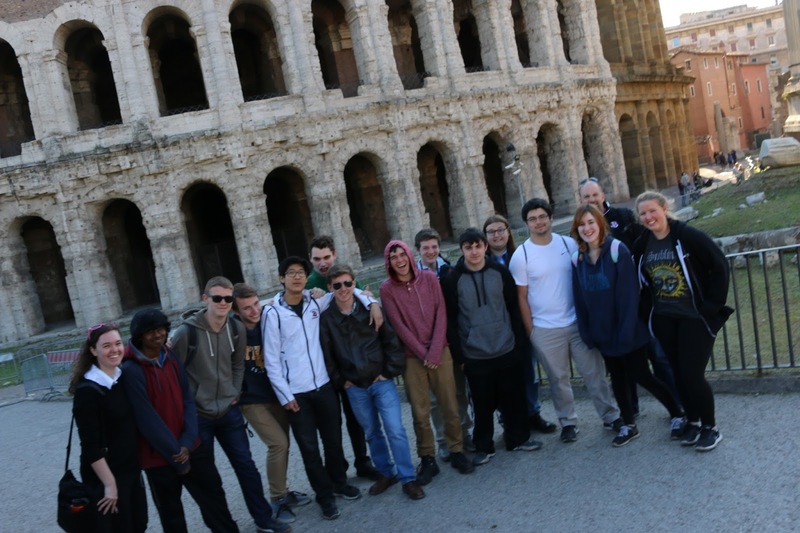 Magister Stringer invites his Latin students to participate in his annual trip to Rome, Italy during April vacation. For more information about this trip, contact Mr. Stringer at stringer@bpsk12.org. 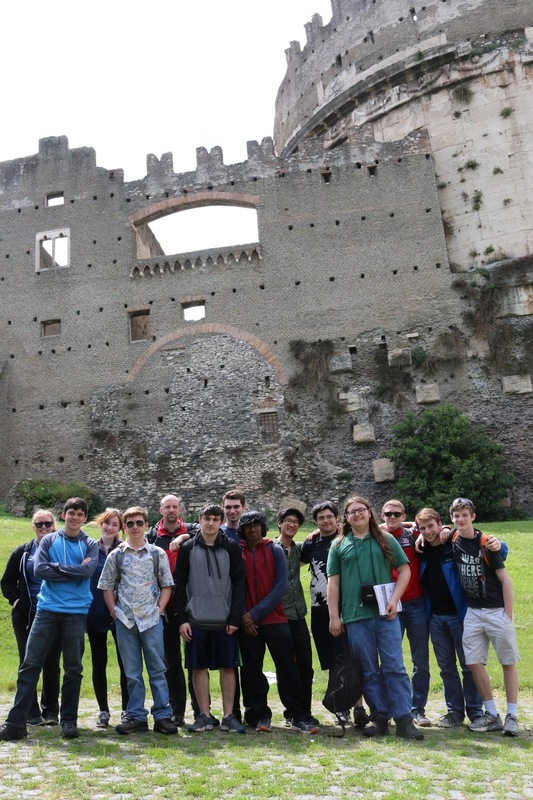 The post below comes from Burlington Public Schools Visual Arts Program Coordinator George Ratkevich, who accompanied BHS Latin teacher Greg Stringer and a group of BHS students on a tour of Italy during April Vacation 2017. 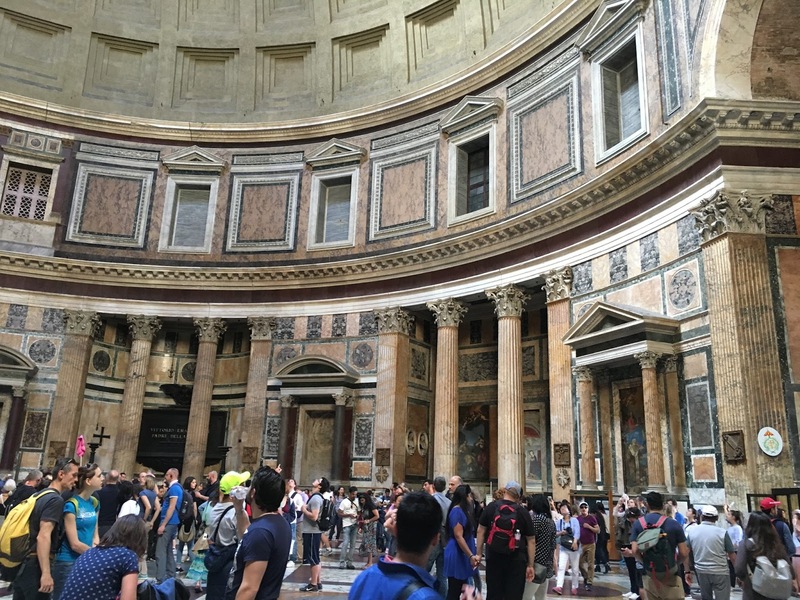 Over April vacation, I had the good fortune to be the “15th wheel” on a school-sanctioned ten-day field trip to Rome with Greg Stringer, who pulled thirteen juniors and seniors into a rich, deep learning experience that I told them several times they were incredibly lucky to be part of. Treating Italy as his classroom, Greg made rich content and complex knowledge accessible, relatable, and engaging to his students and to me. In bringing to life ancient Rome to his students, he clearly and infectiously conveyed his enthusiasm for the subject, presenting it informally and dramatically. He made references and associations to popular culture, to religion, and to the many ages of Italy’s history, presented mostly chronologically. Greg ran a tight, packed schedule, the first several days of the trip timed almost to the minute, and students were kept busy from early in the morning until late at night. In presenting content, he maintained a clear, fluid narrative throughout. This was exciting, authentic learning from an instructor who is passionate about the classical world and whose knowledge on the topic is extensive and wide-ranging. During these ten days, Greg rarely stopped teaching, using most of our time together, even during walks from site to site, as learning opportunities. He covered archeology, history, politics, philosophy, religion, art, some Romantic poetry, and of course Latin, always Latin. Students frequently read on site. Greg guided them in translating the Latin from plaques on monuments, buildings, and other structures throughout Rome, Ostia Antica, Pompeii, and Herculaneum. He kept in mind those students who hadn’t read or spoken recently and made sure to call on them. At various sites, after Greg introduced a few new Latin terms, students read aloud from a packet of primary sources that he had arranged, translating as a group. All students were called on to read and to try their hand at translating pieces of the text. To informally and formatively assess the students (who from my perspective were obviously quite diverse in their maturity, motivation, and intellectual capacity, but all of whom were kept on their toes and all of whom clearly admired and respected Greg), there was constant informal quizzing throughout the week. 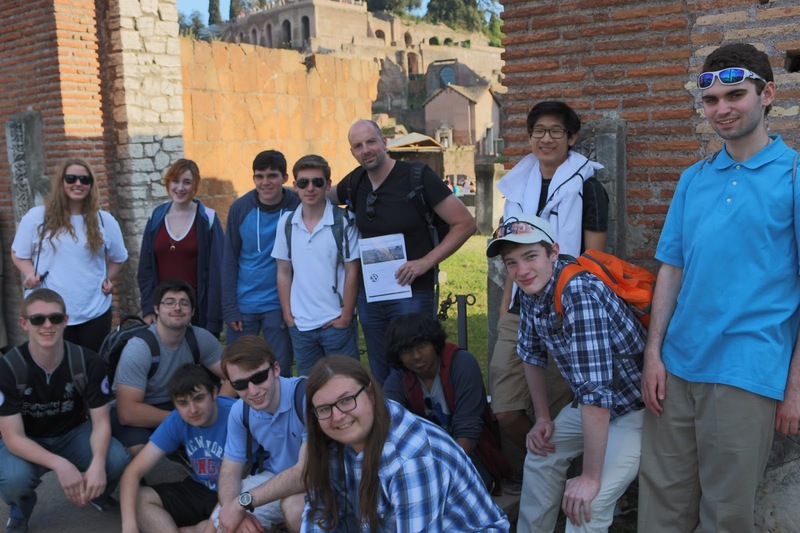 To reinforce learning, at various points as we stood before ancient Roman architecture, students were challenged to recall information from class or from on site experiences earlier in the week, thereby connecting and reinforcing the learning. This happened time and again. One Italian tour guide of another group was surprised and impressed that students were speaking Latin while touring the Domus Romani museum. On another tour, this one of the catacombs, Greg encouraged the English-speaking docent to quiz the Burlington students during the tour, which he did throughout the visit, and the Burlington students held up quite well to scrutiny. Within the first ten minutes of the tour, the docent began leaning on Greg for additional information. Our tour guide from the Paideia Institute, who Greg knew well before this, did a wonderful job as well, and the two worked closely throughout the week, switching off occasionally in presenting content (Greg did most of the presenting. ), and I believe they reflected on each day’s successes in reviewing the plans for the following day. It was clear that Meaghan Carley, our guide, was carefully observing the high quality content and pedagogy that Greg was providing (In fact, she told me so several times. ), and she stepped in from time to time to present about specific works, buildings, or sites. The two made quite a team, and Meaghan told me that this was by far the best of the tours she had been a part of. Even with the tour guide, Greg used some of the travel time to instruct. In our longer bus rides (to and from Pompeii and Herculaneum), Greg and Meaghan used much of the time in his coaching her for future trips and for the betterment of the Paideia Institute. They discussed themes and resources, and the importance of having a clear narrative to tie all the information together. He seems to me to have a scholarly approach, comparing the content of various books he’s read on the same topics and continually researching the topics he teaches. One of Meaghan’s ideas for the group, which Greg enthusiastically supported and made a fun, active experience, occurred at the end of each night. The group was asked to recall and describe everything they had done or seen that day, chronologically; then each student was required to describe their favorite academic moment of the day, and tell why. The three adults shared took part in this activity as well. On the final night of the week, after dinner, students again were asked to recall all the major events of the trip, chronologically, and describe their favorite moment of the week. Students helped each other out in recalling specific information. The academic reflection and personal connection clearly reinforced learning. When certain English words were used in conversation, the phrase “That sounds like a … CLASSICALLY ROOTED WORD!” was heard again and again throughout the week, first by Greg, then by Meaghan and all the students. Higher-order thinking questions were regularly integrated into the discussions. At Ostia, “Where else do you see roofs like that?”; “Why?” Where did they learn to make them that way?” “What’s the advantage of…?”. Still in Ostia, after reading a story in Latin to the group, he asked if everyone understood, then asked for volunteers to paraphrase for those who didn’t. “What was the moral of the story?”, he asked, and we hear from many of the students before Greg shared what he thought the answer was. At the site of a curia (court) in Ostia Antica, he facilitated an impromptu trial of one of the students, dramatized entirely in Latin, and called upon every student to take an active, speaking role. At the Galleria Borghese, he described visual movement, one of the principles of art, in The Hunt of Diana by Domenichino. I’ve never heard anyone other than art teachers or art historians point out visual characteristics related to pictorial composition in the manner he did, illustrating it clearly to his students, the vast majority of whom have not enrolled in an art class since middle school. “He’s the best teacher,” “Such an awesome teacher,” etc. They never complained about having to read or translate, or of walking ten or more miles a day. I listened to students discussing the sites and the history during our bus rides. In one instance, two students narrated our bus journey through Rome (on the way out to Ostia Antica) as if they were tour guides themselves, paraphrasing Greg’s statements. 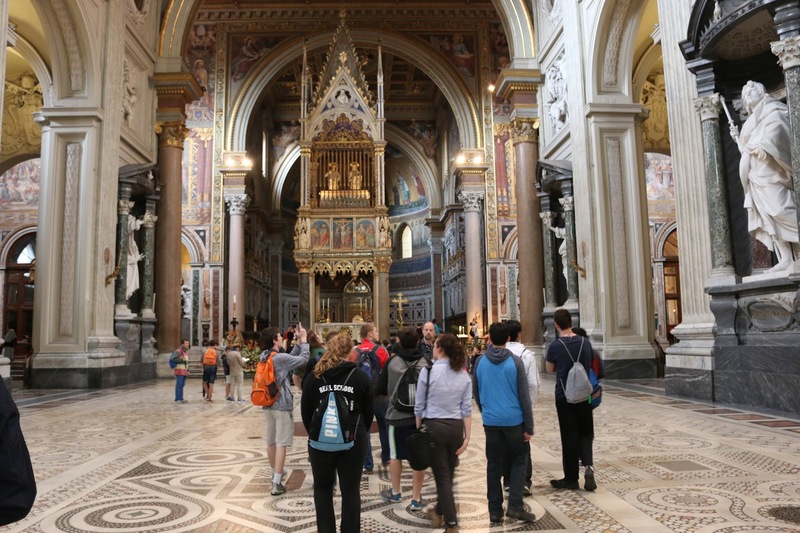 Students were encouraged to sketch, and the two art students who were part of the trip helped facilitate a basic figure drawing lesson while in the Markets of Trajan. The Latin students, most of whom haven’t taken an art class since middle school, were also taught some basic linear perspective in landscape drawing while seated in the ruins an outdoor theater in Ostia Antica.